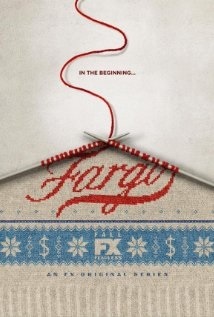 Thoughts: I have no doubt that Season 2 of Fargo will end up being #1 on many people's year end list, but for me, the FX show almost didn't crack my Top 20. However, I started comparing it against other shows for this last spot (Catastrophe, You're The Worst, Community) and I realized no other show in competition with Fargo made me tune in every week to see what fascinating and exciting new adventure was awaiting me. I absolutely believe that season 1 of Fargo- as a result of better and more interesting characters (both main ones like the ones played by Billy Bob Thornton, Martin Freeman, and Allison Tolman, but also the minor characters like the ones played by Glenn Howerton and Kate Walsh)- is better than this current season, but that shouldn't take away from my enjoyment for what Noah Hawley and company created in 2015. Also, please give Bokeem Woodbine all the awards. Thoughts: When Fargo's Noah Hawley spoke with Andy Greenwald to promote his show, he never referred to his product as a "show"- he always referred to it as a movie. Television shows have become more serialized than ever nowadays that they basically are 10-13 hour long movies. This concept couldn't be more true than with Sam Esmail's great, of-the-times masterpiece Mr. Robot. Esmail starting writing a script for his new movie that was so long that he just decided to make it a television series. 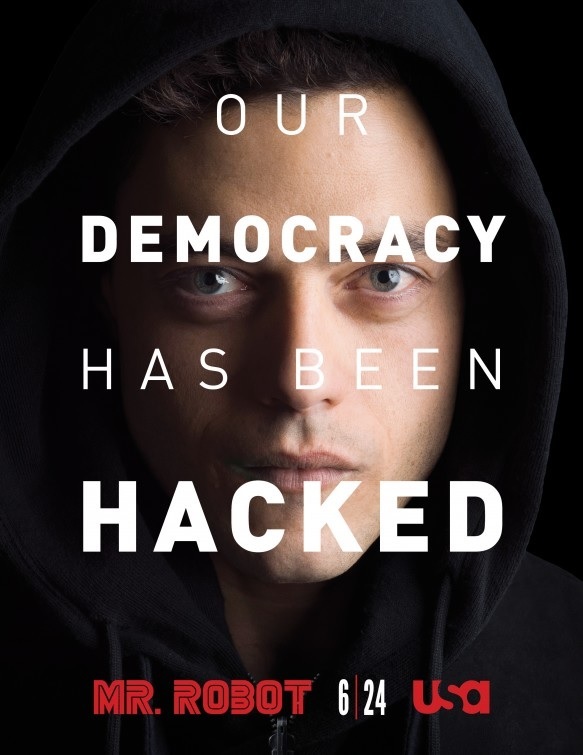 Season 1 of USA's amazing new show about a schizophrenic hacker trying to take down the fictional E-Corp was just Esmail's first act. If this is just beginning, then I can't wait to see what's in store for Seasons 2 and 3. 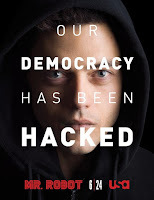 Also, check out Sam Esmail's interview with Andy Greenwald, but only after you've been on the exhilarating roller coaster that was Season 1 of Mr. Robot. Thoughts: I originally came to Other Space thanks to Yahoo! 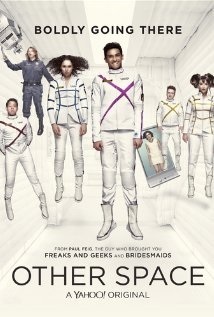 airing the sixth (and hopefully final) season of Community, but I stayed thanks to Paul Feig's (you know, the guy that brought us Freaks and Geeks and Bridesmaids) simple yet hilarious new show. While I don't expect Yahoo! to air a second season of Other Space thanks to the massive amount of money they lost trying to get into the television game, I still enjoyed the 8 episode first and final season. The premise of the show is straight-forward, a small group of 20-something's in a Star Trek -esque Star Fleet Academy get lost in space and attempt to get back home; however, the success was in the execution. The humor works thanks to the relationships the show was able to give us from the get go, and it turns out those actors you see in commercials are actually great when given a larger opportunity. Alan Sepinwall from Hitfix.com wrote an excellent article a few weeks ago defending the seemingly now lost art of the singular episode. While it was not the inspiration for this article as I've done the best television episodes in a given year before, it is a great read (like almost all of Alan Sepinwall's pieces are) and an excellent introduction into this article. Since I will be discussing the specific episodes as well as the specific season of the show, obviously each blurb will contain lots of spoilers. Thoughts: Ever since the first episode of the show's second season, Parks and Recreation has been one of the best comedies on television. The show has been so consistent and operating on a higher plane than almost everything else on TV. That's what makes choosing a single episode from the show to make this list so difficult. 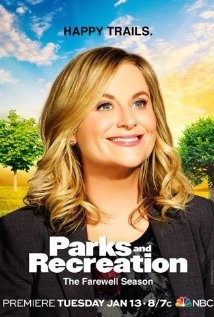 However, with Parks and Recreation's final season, I had to go with the two-part series finale. The show has always been optimistically hopeful, and held the belief that when you do good, good will come back to you. That's what made the finale so satisfying. We got a chance to glimpse into the future of all of the major characters we care about and see the greatness that awaited for them throughout their lives. Thoughts: I hadn't much cared for Season 2 of Fargo until they aired "Rhinoceros" aka Assault on Precinct Minnesota. While the classic trope of outlaws staging a coup on a small town police force to rescue 'one of their own' who's been imprisoned could have sunk the show for me, it was Noah Hawley's execution and Nick Offerman's silver tongue that turned a cliche into a classic. Part of what made Season 1 so great were the secondary and tertiary characters that you loved and cared about, and Season 2 of Fargo didn't have that until Offerman's Karl Weathers had to drunkenly protect his friends using only his vocal chords, charisma, and power of persuasion. The highs of Season 2 (which is essentially this episode) haven't lived up to the highs of the first season IMO, but I'll still enjoy a great episode when I see it.